Welcome Home to this cozy country, full brick home. One floor plan with gorgeous refinished real hard wood flooring. Wooden beams line the ceilings in the great room and kitchen. Real pine wood covers the walls of great room, with ceiling fan and wood burning fireplace for those cold winter nights. Lovely kitchen with real wood cabinets farm style sink and new faucets. All appliances in home remain, stove, refrigerator, dishwasher. Nice size bedrooms with ceiling fans. New vinyl flooring in bathrooms along with new faucets. Nice large corner lot, with storage building. 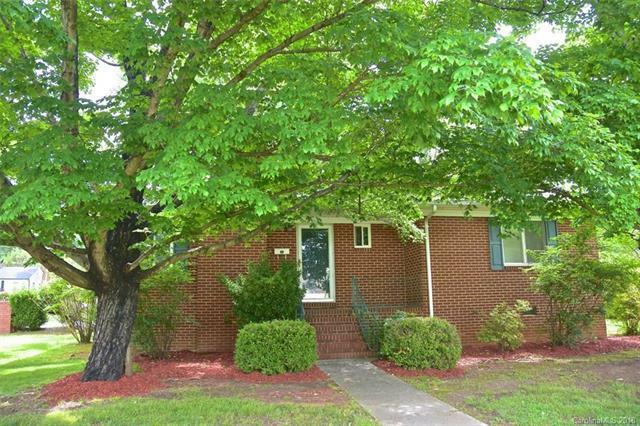 2 min from I85, close to shopping restaurants and more. Country feel but minutes away from the city. New roof installed 2 months ago.